You know I love books. I love books in the way a mother loves her child. I don't ever stop reading, even if that means I have to read the back of a crisp packet! However, I've never read much in the way of classics. 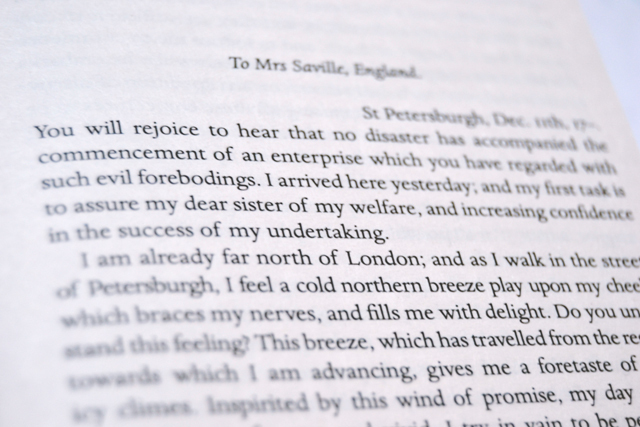 When I was younger, I tried to read Sense and Sensibility (or was it Pride and Prejudice?) and found it so dry that I was totally put off reading literature from the early-1800s. However, there is still that little emo kid still inside me that is drawn to all gothic and mysterious, so when Frankenstein was offered as a selection of the Mirror Book Club, I didn't even need to think about it. Let me tell you, I am glad I gave it a shot! To be honest, I found the beginning dull and dry. 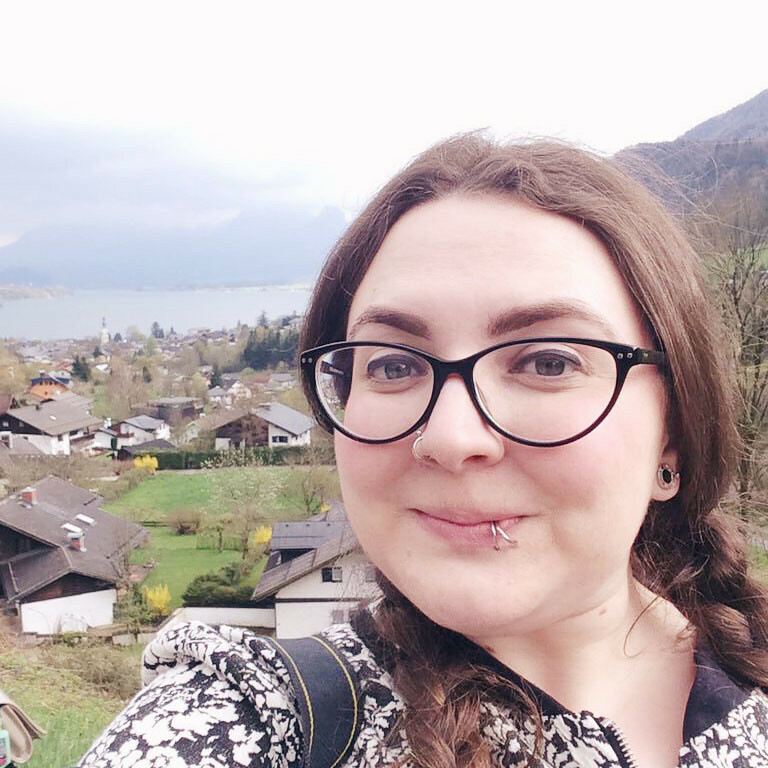 The first volume recounts the background of Victor Frankenstein (the man who creates the monster, which does not have a name) and, although crucial to understanding his motives later in the novel, it is a little hardgoing. 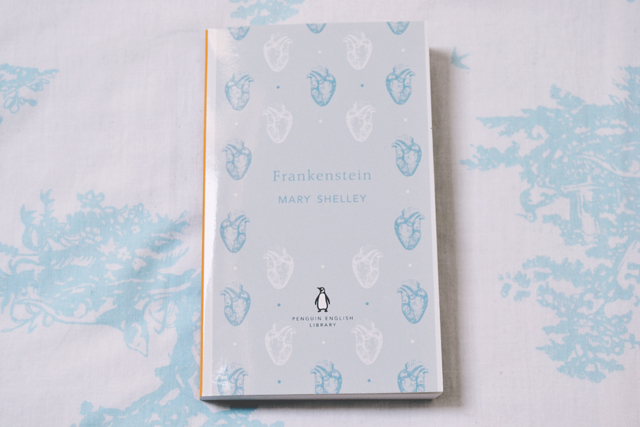 What I found interesting was how Shelley skips so quickly over Frankenstein's making of the monster. Maybe I wasn't paying attention but suddenly, he was lamenting how ugly his creature was. I expected more of a build up. Once the monster is created, however, the story gets moving. Frankenstein panics at how hideous his creation is and, in his flustered state, loses track of his monster which disappears for a couple of years before Frankenstein's younger brother is killed. Later we found out that the beast spent these years observing a French family, learning their language and ways but, when rejected by the family that he grew to care for dearly, he wreaks havoc upon his creator's life, killing all who are dear to him. I found Frankenstein to be a self-obsessed and self-pitying character. Instead of finding solutions to his problem, he fixates upon seeking revenge, which only leads to more destruction. He despises himself for creating such a monster and laments the loss of his potential life. However, I also found myself wondering about his sanity. Again and again, he finds himself at the body of a loved one, with the monster just out of sight, slipping in and out of his vision and, at one point, is even charged with the murder of a friend. Is his monster real or is it in fact an aspect of his own personality? This question was addressed in an interesting essay included at the back of my edition. It considers the possibility that both creator and creation are one and the same, reflections of each other, and discusses religious symbolism- both are simultaneously God-like and Satanic in their motives. Together, they form a trinity of man, God and Devil. Shelley's novel is fraught with symbolism and forewarning. It is beautifully constructed and ultimately a tragic warning against the dangers of pride and vanity. It's changed my mind about 1800s literature, and I can't wait to read more! If you liked Frankenstein, particularly the duality aspect, give 'Dr Jeckell and Mr Hyde' and 'Dracula' a go. The Victorians were obsessed with identity and the erosion of it, and were constantly anxious that if evolution was possible the devolution - turning into something more animalistic - might also be possible. Wilde's 'Picture of Dorian Grey' is a later take on similar issues. This is really interesting. Thanks for the recommendations! Oh my gosh ~ your review of Frankenstein is terrific since you so neatly summed up exactly how I felt when I read it the first time! Now I want to go and find a copy to read again! I'm so glad you liked it. It's interesting that you had the same thoughts as me. 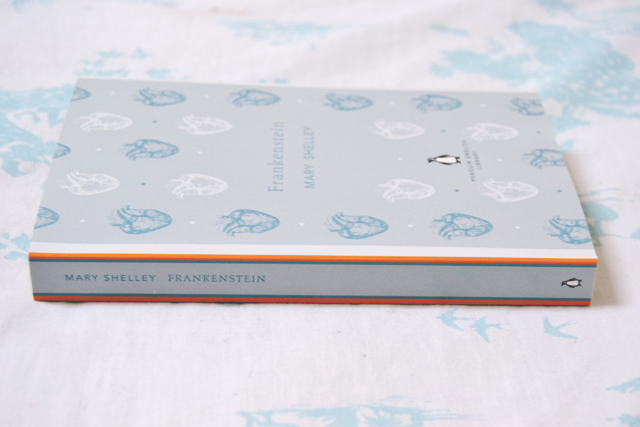 I tried reading Frankenstein once, but gave up only a few pages in as I found it difficult to get in to. Knowing it gets better makes me want to give it another go! I really recommend sticking with it. It definitely gets better. I've been keeping my eye out for a copy in my local charity bookshop! Frankenstein is up there in my top 3 all time favourites. I own three different copies of it because I love it so much (and we all love a good cover). You just read Stevensons' Strange Case of Dr Jekyll and Mr Hyde, it is of a similar genre and is perhaps a bit faster paced. Haha I understand that! I own three copies of Of Mice and Men because I love it so much. I really must read Jekyll and Hyde! I've really been trying to incorporate classics into my reading repertoire and this one is on my list! I definitely need to read it sometime soon. I think I have a thrift store copy around here somewhere... I really love the cover on your copy! You really should read it soon. Isn't the cover gorgeous!